Remember Black Panther #39 of the Priest run? Black Panther vs Iron Fist? That issue is one of many that came out that year that featured artwork only issues. The story flowed effortlessly, and even the fight scenes needed no description. It was a strong show of force on the publishers part to say, “Hey. our artist are so good, they can tell the story without the written word!” Well the same can be said about the next person! 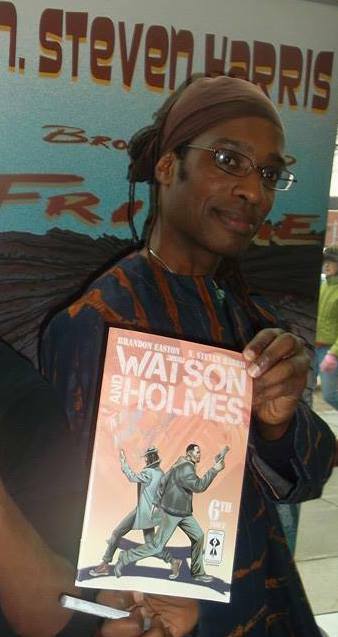 From the Glyph Award winning Watson and Holmes series, to the Glyph Award winning Ajala series, this person is putting his pen where his mouth is and delivering big time! His credits also include Aztek the Ultimate Man and Voltron to name a few. This person has established himself as one of the premiere artist in the industry whose work is definitely raises the bar. We have on deck no other than N. Steven Harris. Mr. Harris takes time from his upcoming graphic novel entitled, “Brotherhood of the Fringe” to answer our questions. Also, in the spirit of full disclosure (his words not mine) he throws in an extra answer for his fans! 1. How did you get started in the comic industry? 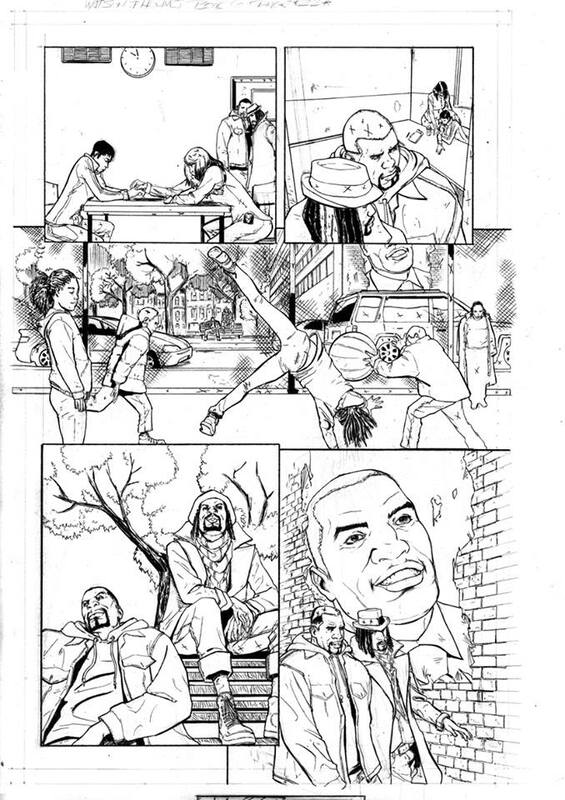 Well my career got started with my preparation to be an illustrator and comic book artist. It started with my education from, not only the instructors at the School of Visual Arts, but the upper classmen as well. I would always go to 2 guys named Rusheed and Edgar aka the Hard Master and the Soft Master, respectively. The nick names came from a story Larry Hama wrote and illustrated for GI Joe, back in the 80’s, called Silent Interlude that featured Snake Eyes’s origin. Anyway, they would critique my work mercilessly, especially Rusheed. Then, later during my time at SVA, I started taking a comic book class at the Children’s Art Carnival in Harlem. I was introduced to the community organization by a fellow SVA student, named Rick DaSilva, a.k.a., MC Breez Eva Flowin’, who is currently an underground Hip Hop dynamo. At the Carnival I met, instructor and illustrator, Michael Davis, who had young Black and Latino kids give up their Friday nights to critique each others’ comic pages. 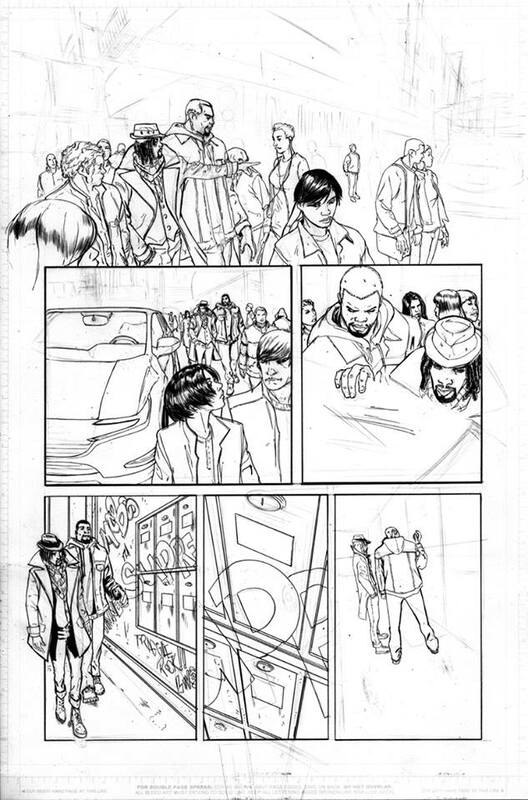 Pages that we had to pencil, ink (maybe) and color or paint, along with a story we wrote. The catch was that we had to do DC characters, but, no Batman. I put Batman in mine anyway, then I had him shot. The character I choose was Black Lightning. I also met Denys Cowan, Mike’s best friend, my first day at class. The most amazing thing about the class was that Mike somehow arranged for a bunch of Black and Latino students to meet at DC Comics meeting room every Friday evening to critique our comic book pages and talk comic book business. To goal was to do a page a week, so that at the end of the year we would have 32 storytelling pages to show editors that we could do it all, write, pencil, ink, and paint. Painted books were in at the time. My story, as I said, featured Black Lightning taking on some kind of worldwide conspiracy originating from, the then, apartheid South Africa, that required the assistance of the Teen Titans and the JLA. By the way, that bullet that shot Batman was meant for Black Lightning. Moving on. This time at the Children’s Art Carnival led to me being an assistant to Denys Cowan at his Studio X Unlimited, which led to my first comic book job. There’s more but I should keep this interview moving. 2. Who were your early influences? My early influences were John Romita Jr., Paul Smith, Art Adams, John Byrne, Rick Leonardi, Jose Luis Garcia Lopez, Barry Windsor-Smith, Larry Stroman, and Denys Cowan. 3. What project are you currently working on? I just completed a commission for client that created a female Sherlock Holmes, named Sherbet Lock, in the future, that is a lesbian, West Asian, and solves supernatural phenomenon. I am also working on my co-creator book, Ajala: A Series of Adventures with co-creator Robert Garrett, and looking forward to possibly doing another project that I won’t talk about until what needs to fall into place does so. Also I really need to have Book 3 of Brotherhood of the Fringe out this year. Preferably by October for New York Comic Con 2014. I really need to make happen the ability to work on my co-creator and creator owned projects and prosper from those ventures. I mean prosper beyond just paying rent. Hey I am taking applications for anyone or any company to fund me to make beautiful art from stories that Rob and I create. I mean we got some stuff for you!! 4. What books did you collect or read growing up? The early comics I collected were Star Wars, Battlestar Galactica, Shogun Warriors. Later I collected Uncanny X-Men, New Mutants, Walt Simonson’s Thor, Spider-Man, Avengers, Louise Simonson and June Brigam’s Power Pack, Daredevil, Teen Titans, Atari Force, Alien Legion, and many more. 5. If you could rewrite any character which one would it be and why? I don’t know. I just have creative writing energy to create my own characters. Now drawing is another thing. I wouldn’t mind drawing the X-Men, or, even Daredevil, Black Lighting, Black Panther, War Machine. Now there is an idea. Maybe rewrite Rhodey. Leaving the shadow of Iron Man and Tony Stark. Maybe have him as a force working with Wakanda and progressive revolutionary elements in needed parts of Africa, The Democratic Republic of Congo, Sudan, and others to root out Neo-colonialism, their puppets and economic benefactors and nationalize the resources to benefit the people of the given country. Call the book Take Back Africa: Full Metal Tilt. How is that?! Maybe Rhodey spear heads an armor building effort in Wakanda to bring about a new African revolution. Maybe work in some giant robots. HA!! I better stop talking before they come and get me. 6. Given the success of books like Watson and Holmes and Midnight Tiger, what other books do you see having mainstream appeal? I see books like Millennia War by Ashley Woods, Inheritors, or Galtow by Robert Garrett, or Jerome Walford’s Nowhere Man, having mainstream appeal. But there are so many others I could mention like John Jenning’s and Damien Duffy’s The Hole, Alex Simmons’s Blackjack, Grey Williamson’s Val-Mar: Price of the Damned, and so many more that escape my mind right now. 7. If there were anything you would say to someone looking to get into the comic industry; especially a person of color; what would it be? Be bold and confident. I mean Brooklyn Black Man bold and confident. At least in your mind and with tact. We would not want to cause any incident. Being bold and confident does not mean bravado and ego blazing. That only covers up lack of confidence. The only way to build up confidence is to work at your craft. Study and work on your drawing and/or writing. Take classes, listen to critiques. I mean really!! Shut up and listen!!! I am not saying not to back up you work. In fact be prepared to back up your decision making. It’s not personal and if it is personal, respond with tact. You never know who is watching or listening. That especially goes for social media. Social media is great tool for entrepreneurs, especially for creative people. Don’t use it to air your childish issues, or adolescent beefs. This business is about reputation and personal relations. People who hire you or bring you on for a project leave themselves open to some amount of risk. If you screw up the higher ups, or that person’s clients are looking at that person because you messed up. So, if someone sees you carrying on like childish nut on social media, chances are they won’t hire you for an assignment. Spread your eggs in several baskets if you are an artist. Meaning create your own properties, pursue freelance work from companies, try doing storyboards for advertising, animation, and film. Diversify. Now back to critiques for a minute, they may not only help better yourself but it can also prepare yourself for the professional world. Not everyone will like your work and you have to be prepared for rejection, or fans and reviewers that don’t like your work. Don’t get all “American Idol contestant” and act defensive. There is some art you don’t like, and some may not like your work. Your work is now in the public eye and people are responding to your art. Appreciate that level to success. Not success yet. There’s levels to this stuff! Now I would not call myself successful yet. I have had success and I am very fortunate to be able to do what I love. Very fortunate and very hard headed. As I said in a previous interview, we have to create our own paths in this business. Web comics, print-on-demand, comic conventions, pod casts, etc. All those give you ways to put out your own work directly to the public. When doing conventions and if you have your own property, make sure you have a ledger for people to write down their e-mails. If they didn’t buy anything then, they might later. Build up a mailing list and keep them aware of what your latest projects are, or events that you will be attending. If you are of the mind of creating your own property, I would say create something that speaks to you rather something you think people will like. There are people that surely like the same things you do. It’s hard to try and do what you think the massed want and be original at the same time. Falling on the familiar is safe and you may end up cheating yourself of expressing what you really want to express. Now if your interests lie in getting mainstream work from a comic company, doing all the above can lead to that too. You also need to talk to some editors too. Talk to them at cons. When you buy your favorite comic book, see who the editor is and reach out them with a link to your work. One last thing. 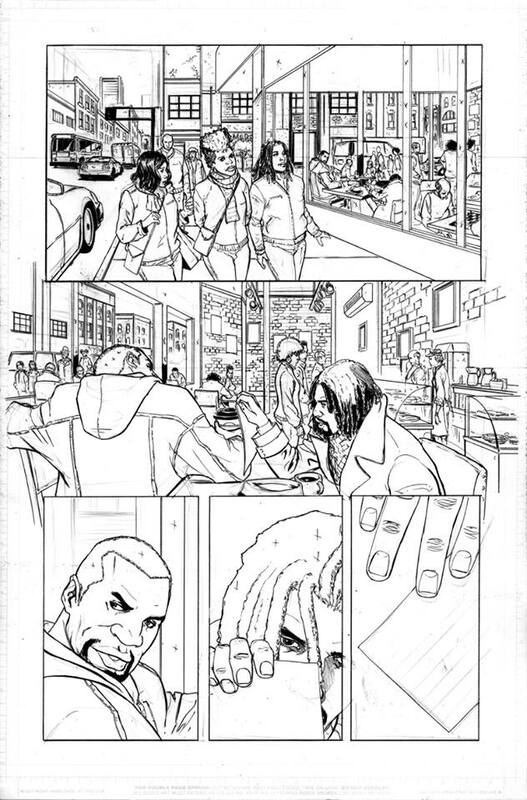 As a creator of color, if you a have a story in mind that reflects your culture, nationality, gender, race, etc. do it and do it without apology. There is no such person that is neutral. To me that just status quo with some food coloring and a little seasoning. We all have a context, we are 3D characters. It’s ok for your story to reflect that as well. Details like that can make stories more interesting and meaningful. 8. Is there anyone in particular you would like to work with on a book? I would like to work with John Jennings, co creator of The Hole: Consumer Culture. He knows a lot about African American culture and folklore, especially from the South. He is an amazing resource and he uses his powers for good. Meaning he is a professor at SUNY Buffalo and uses that position to put out work and further the voice and exposure of independent creators. He did edited the Black Comix publication along with his partner in crime Damian Duffy and co creator of The Hole as well. I was just talking with John one day about folklore and historical and recent events and he just blew my mind. I am not talking about adapting anything. I am talking about using culture or an incident that inspires a story. That story could be anywhere or anywhen. Some of that culture is spooky, some is uplifting, and a lot of it got us through this experience here in America. It’s ours, it’s us and we have to own it. I would have liked to work, again, with the late L.A. Banks, best selling author of the Vampire Huntress Legend novel series. 9.Name three independent books that you would like to see as movies. Kenjji’s Witch Doctor, Robert Garrett’s Galtow, and Regine Sawyer’s Ice Witch, or Rippers, I would like to see as movies. In the spirit of full disclosure, I am not Brooklyn born and bred. I was born and raised in New Jersey. I moved to Harlem in 1989 then to Bed-Stuy Brooklyn in 1998, now I am in Bushwick Brooklyn. Learn more about N. Steven Harris below! Dig Deeper into Watson and Holmes here! Dig Deeper into Ajala: A Series of Adventures here! Check back next week as we continue to MEET THE INDEPENDENTS! If your a black indy writer or have a series starring a black protagonist then send us an email at Worldofblackheroes@gmail with the subject “Meet the Independents” for your chance to be the next indy spotlight! 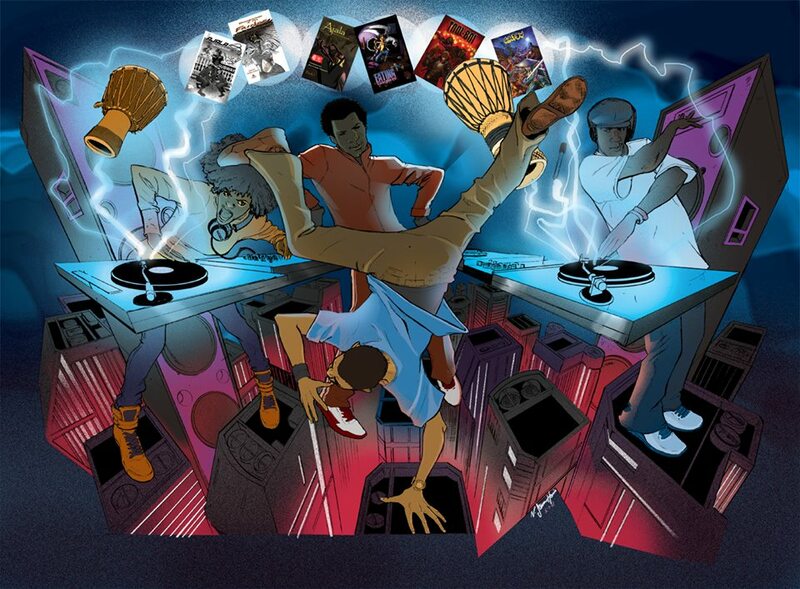 Worldofblackheroes where indy creators get mainstream coverage,BELIEVE IT!